The situation can vex you when you find that your iPhone Twitter app crashes continuously/randomly or is working inappropriately. Now, if you are confused what to do to get your Twitter app work like normal, you've fallen to the right place. Today's post is specifically tailored to enlighten the users on how to fix iPhone Twitter app stuck issue all by yourself using some simple solutions in the first place. Go ahead, read further to discover the reasons behind such issues and how to resolve them. Here in this section we're going to discuss about the reasons why your Twitter app crashes in iPhone. Internet Issue: Bad internet can be a big enemy to the Twitter app and lead to crashing issue. If you are having internet issue in your area or your Wi-Fi or cellular data is not working properly, the Twitter crashing can trouble you a lot. App Problem: When you find your Twitter app keeps crashing, the problem is likely to be with the app itself. Maybe the app is not updated and requires the new update or the app package may have been corrupted. The app will not load properly when it is outdated or corrupted. Hardware Damage: Another reason could be a hardware malfunction. In such a case, the best solution is to walk up to a nearby Apple Store and get it resolved. We know you are desperate to find out the solutions for the problem. And after making you aware with the reasons, its right time to let you get the fixes to resolve the problem of Twitter app keeps crashing. Let's begin to understand. 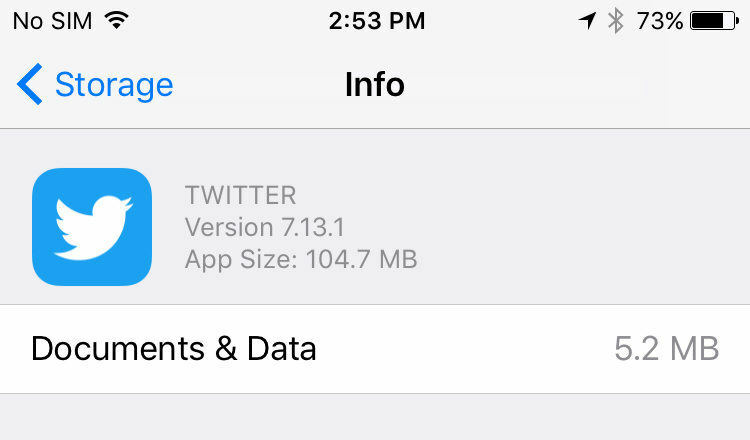 You should quit your Twitter app as the first step in order to fix the app crashing problem. This could help you out. Just press 'Home' button twice and you will get to notice all the apps running in the background. Start swiping left and right to find opened Twitter app. On finding, swipe up and this way you will force quit the app. Now re-launch it and see if it is crashing or not. If still your Twitter app is crashing, it's time to check your Wi-Fi connection. This app crashing problem is possibly occurring due to a bad and unstable Wi-Fi connection. So we will recommend here to check the connection in such situation and use another Wi-Fi connection. Step 1: Open 'App Store' and tap 'Updates' located at bottom right corner. It will show you pending updates. Step 2: Now see if Twitter app is showing available update or not. If yes, tap the Update button and get the newest Twitter to fix the problem. When Twitter is giving trouble, make sure to clear the cache and data on it to make it work smoother in future and avoid any crashing problem. The steps that you need to perform are given below. Step 1: Start with tapping on the 'Me' tab in the app. Now, look for the Settings icon (kind of cogwheel). Step 2: Tap 'Settings' from the menu followed by 'Data Usage'. Step 3: Tap on 'Media storage' and 'Web storage' one by one and clear the cache. Try to force restart your device which is one of the best fixes in any situation. 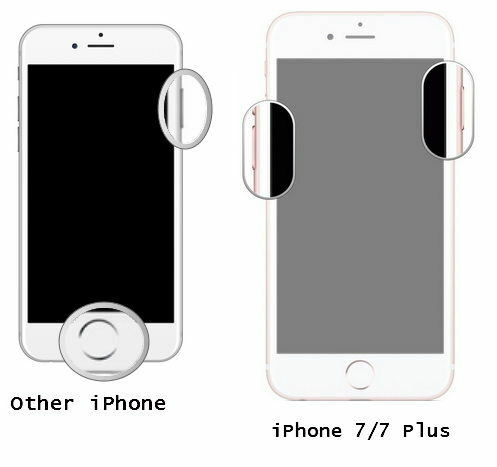 We are going to mention the steps for different iPhone models. Follow the steps according to the device you own. iPhone 6/6s and earlier: Press 'Home' and 'Power' buttons at the same time until the Apple logo appears on the screen. Release the buttons when your see the logo. iPhone 7/7 Plus: Hold down the 'Power' and 'Volume Down' buttons altogether and release when you find Apple logo coming on the screen. iPhone 8/8 Plus/X: Press 'Volume Up' button and release quickly. Press 'Volume Down' and release it immediately too. Now, keep pressing the 'Power' button until Apple logo gets visible to you. As we said above, iPhone Twitter stucks due to a bad network so here is another recommendation. Try to reset your network settings and get the problem solved. Head to 'Settings' in your device and tap 'General' > 'Reset' > 'Reset Network Settings'. Enter the passcode on asking and confirm the action by tapping 'Reset Network Settings' again. If Twitter app keeps crashing and won't open properly, uninstall it before you start losing your patience. Tap and hold on Twitter app icon available on the Home screen. Keep doing this until the app icon shakes a little. When shaken, it will show a little cross symbol at the right corner of the app icon. Tap on it and confirm the action to uninstall the app. Now reinstall Twitter from App Store and see if it works properly or not. Keeping your iPhone's firmware up to date is a good practice and this practice can keep you away from several problems, including the app crashing issue. So, if in case your device's firmware is obsolete, this could be a potential reason behind the Twitter app keeps crashing issue. Get your iPhone's firmware version up to date to get this issue resolved ASAP. Head to 'Settings' > 'General' > 'Software Update' > If the update is available, tap 'Download and Install'. Many times, the reason behind an app crashing is their servers. The app's server might be going through maintenance for server improvements and that's why your Twitter app keeps crashing. You can Google 'Twitter server status' and check if there is routine maintenance going on. If yes, you'll have to wait until the routine maintenance gets done. Well! If all the above methods went futile and you still fail to work with Twitter app, the problem is likely to be in the hardware. Therefore, we recommend you to head to the nearest Apple Store and contact there. They will fix the problem for sure. Those were some of the trouble-free workarounds that you need to work with when your iPhone Twitter app stuck and won't let you use it satisfactorily. But we are not done yet! We would like to bring your attention towards a powerful tool, i.e. 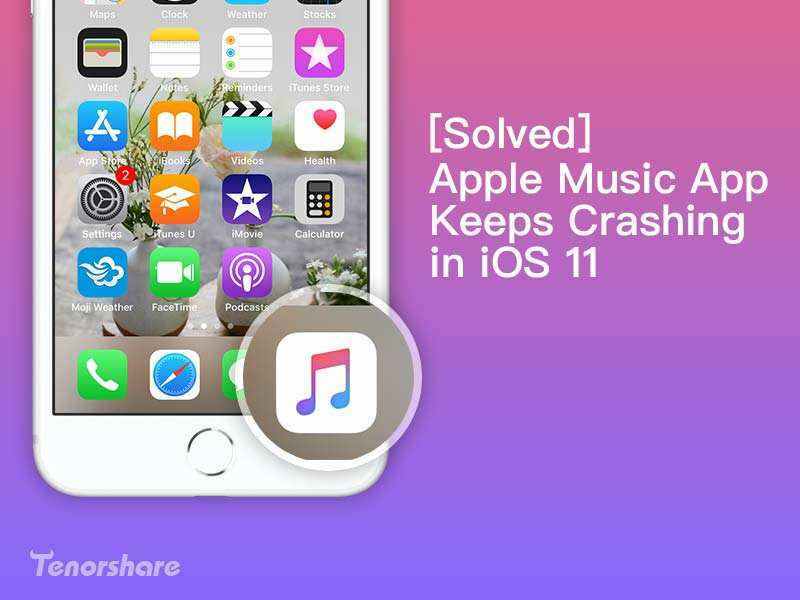 Tenorshare ReiBoot, which can help you fix almost all iOS related issues within just a few simple clicks. The tool is globally trusted and utilized by millions of users for its superior success ratings in fixing iOS issues effortlessly. The tool is worth giving a shot if the aforementioned methods didn't brought fruitful results in your case. Hope that after reading this post, your doubt of "why my Twitter app keeps crashing" vanishes.